Search out clues to reveal the details of the doctor's disappearance while at the same time discovering that you are more involved than you ever imagined. When Dr. Magnus loses his wife and daughter to a tragic car accident, he is tormented by his desire to make contact with their departed souls. The consumption of many magical potions takes its toll on the health of Dr. Magnus as well as giving him the power to enter other people's dreams. And now his is mysteriously missing! Who is entering your dreams? How are your life and your past involved in the story of the doctor and his family's tragedy? Can you find Dr. Magnus and solve these mysteries? 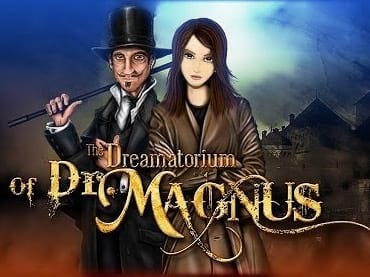 Jump on the trail of clues when you download free full version of The Dreamatorium of Dr. Magnus today! - Choose from two modes of play. If you have questions about The Dreamatorium of Dr. Magnus game, please contact us using this form.